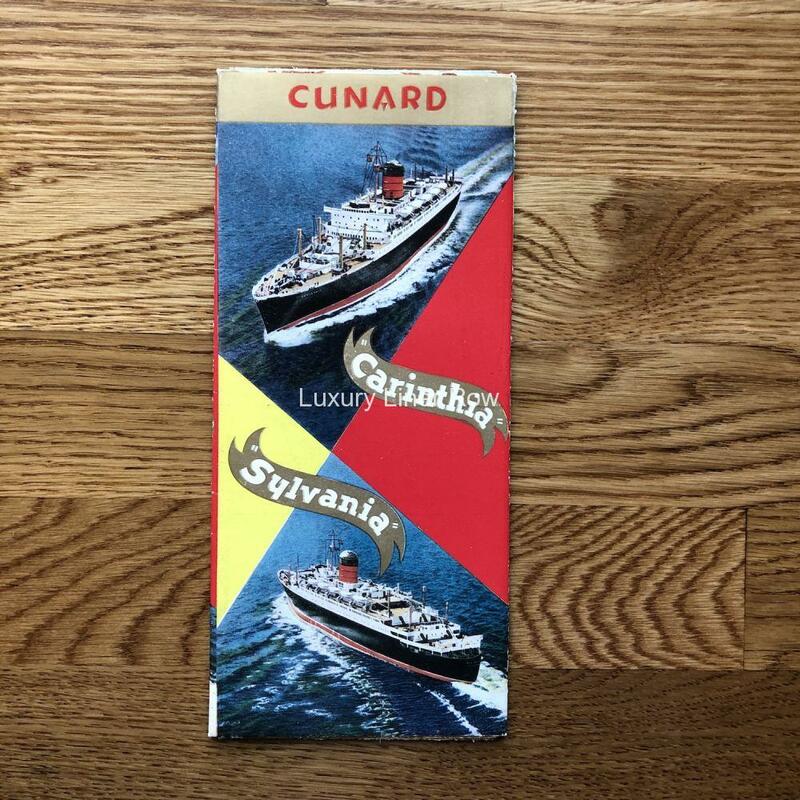 Lovely fold-open brochure for the Carinthia and Sylvania, two of Cunard’s 20,000 tonners for the Canadian route. 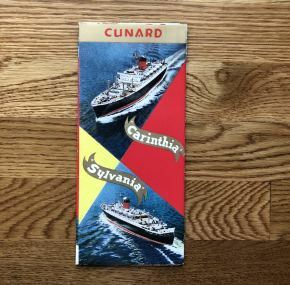 By the time this brochure was produced, the Ivernia and Saxonia had already been converted for causing and renamed Franconia and Carmania. 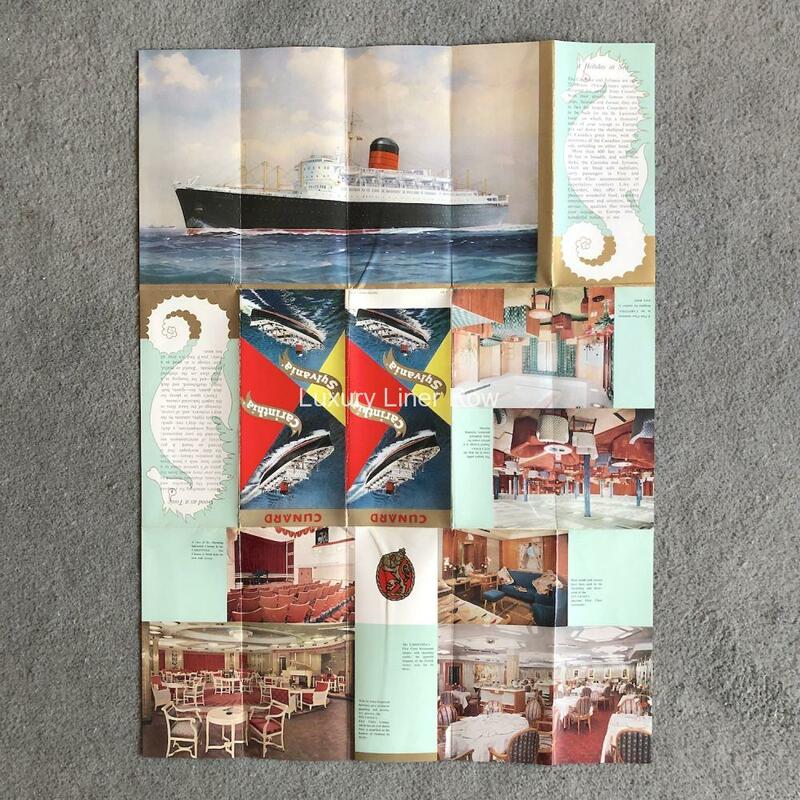 Full color with lots of images. When Carinthia was built, the ever-frugal Cunard took the first-class dining room chairs from Aquitania and used them in the first-class restaurant of Carinthia. I wonder where they are now? 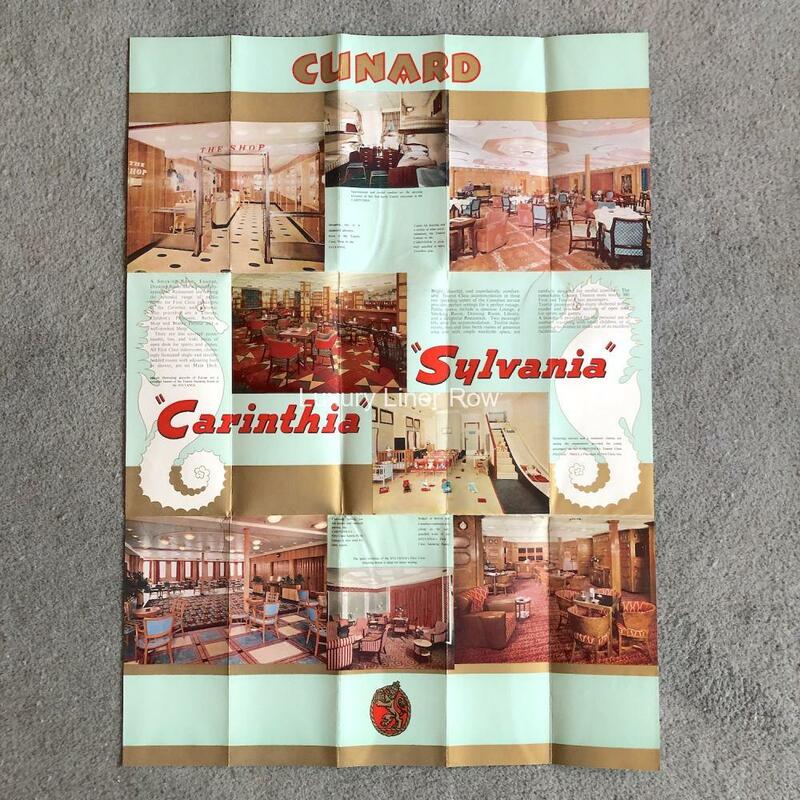 When open, measures 27″ x 19″.